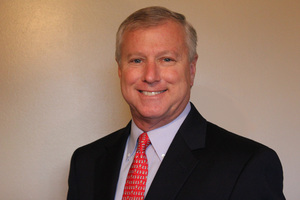 FORT LAUDERDALE, FL--(Marketwire - Feb 20, 2013) - All Leisure Group, North America, the parent company of Voyages of Discovery, Swan Hellenic and Hebridean Island Cruises, has appointed Steve Tucker, CTC (Certified Travel Counselor) to lead the company's North American operation. Tucker joins All Leisure Group, as President, All Leisure Group, North America from Silversea Cruises, where he was Vice President, Field Sales. He will report directly to Andrew Dufty, Chief Marketing Officer and brings a wealth of expertise from his career in the cruise industry to the business. "We are pleased to appoint someone of Steve's calibre to the North American leadership and given his impressive track record in the cruise sector, we are confident under his management/leadership our North American operation/business will thrive." Tucker is responsible for all operations at the Fort Lauderdale office including day to day liaison with travel agents, sales and marketing activities, and staff management. His past experience includes time working in sales for many well-known cruise lines including Holland America, Orient Lines and Norwegian Cruise Line. Tucker joins All Leisure Group on February 25, 2013 and will be based at the company's North American office in Fort Lauderdale, Florida. All Leisure Group is the holding company of All Leisure Holidays, an established cruise company which owns Voyages of Discovery, Swan Hellenic, and Hebridean Island Cruises. Their North American headquarters can be reached at Tel. (866) 623-2689.